Guidebook to the magnificent Japan Alps, which stretch across the middle of the main island of Honshu, and iconic Mount Fuji. 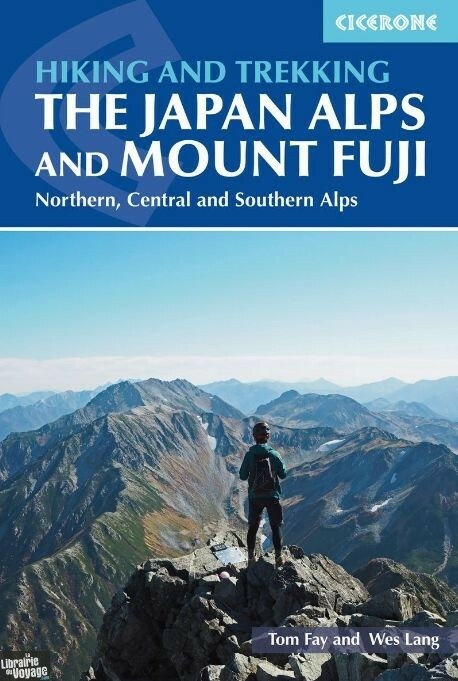 The guide describes nine day-walks and thirteen treks of 2–8 days covering the North, Central and South Alps, as well as the four main routes up Mount Fuji – Japan's highest mountain at 3776m – and a further route on neighbouring Mount Kurodake. The routes visit many of the region's key summits, including several over 3000m. They are graded according to difficulty, although several entail steep ascents and difficult terrain and a few include scrambling and exposure, calling for a sure foot and a good head for heights. 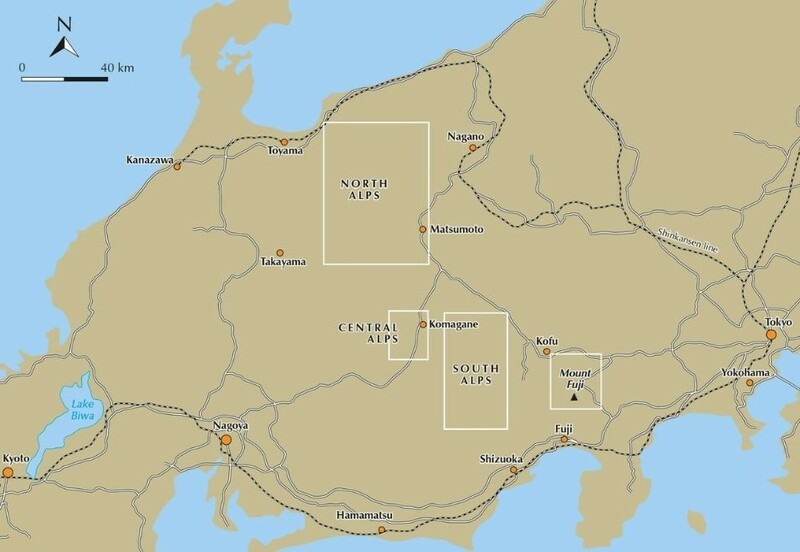 Comprehensive step-by-step route descriptions are accompanied by clear mapping. 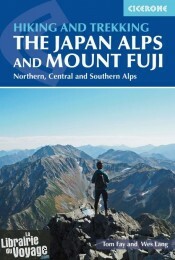 The Japan Alps and Mount Fuji boast a well-developed walking infrastructure, and the routes make use of the many mountain huts and campgrounds, full details of which are given in the guide. Some also include the opportunity to visit a traditional hot-spring bath for a refreshing soak after your hike.